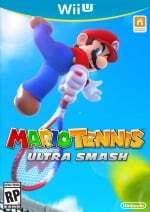 We're not going to sugar coat it - Mario Tennis: Ultra Smash isn't a golden entry in the spin-off series. We were disappointed by the lack of content in our preview and are currently testing out online play before publishing our review, but what we can say right now is that we won't be singing from the hilltops about this one. That's a pity, as this is a series that has created fond memories for plenty of gamers. For some it's one of the best multiplayer franchises around, and others adored the RPG approach of the early portable entries; it's quite likely that many of us like both approaches. To celebrate the franchise, then, a few of the Nintendo Life team have brought together their thoughts on the series, while some readers have also pitched in. 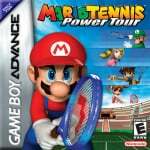 My only real brush with the series was the 2005 Game Boy Advance outing, Mario Tennis: Power Tour. While I don't consider myself to be an expert on tennis video games, I've always had a soft spot for the genre - largely thanks to the combined efforts of Virtua Tennis on the Sega Dreamcast and the mighty Super Tennis on the SNES - arguably the greatest tennis game ever made. Going into Power Tour a decade ago, I was sceptical about its chances of toppling the 16-bit classic, but I was pleasantly surprised. The game engine was a winner, offering accessibility and depth - a difficult balancing act at the best of times. The Game Boy Advance was of course only blessed with four buttons - and only two of those are within easy reach - yet the range of shots you could pull off was impressive. However, it was the robust career mode which really sucked me in; part tennis sim, part RPG, this element of the game was incredibly addictive and resulted in me putting in many, many hours with the title. Mario Tennis might not have the cachet of the plumber's karting exploits, but it's a series which has evolved and endured over the years, with developer Camelot refining the gameplay with each iteration. I'm looking forward to getting hands-on with the Wii U version, but the pocket-sized Game Boy Advance entry remains the highlight for me personally. When it comes down to Nintendo nostalgia the original Mario Tennis on Nintendo 64 is right up there among my favourites. I was a teenager when my older brother bought an N64 with his first wages, and we'd often watch each other play single player adventures or tackle some multiplayer games together. Yes, we enjoyed multiplayer classics like Mario Kart 64 and Goldeneye 007, but it's Tennis that I loved the most then and to this day when firing up the old system. It's hard to pin down what makes local multiplayer special in home console Mario Tennis games, but I think it's the mix of both skill and chaos. Quirky shot types, courts and power-ups always give any player a chance of a surprise win, but there's a weird strategy to it too. My brother and I would have incredible rallies that would go on for minutes at a time - or so it seemed - due to our skill levels being so close. I remember one point so epic that we actually took a five minute break after it, all the while laughing and recounting the rally play for play. Humorously I know my parents would observe these moments with bemusement, but no doubt loved to see us getting along so famously. Other times we'd team up in doubles against others or with the game's AI maxed out; that highest difficulty setting was serious. For me it's just a wonderful blend and I'm a little sad that, having skipped the GameCube, I didn't get into Mario Power Tennis. My brother and I still love playing Mario Tennis, though nowadays we normally team up in doubles - we've become less competitive as grown-ups! When visiting a gaming café in the summer it was the first game we asked for when playing an N64, and in the interests of 'review research' the first thing I did with Mario Tennis: Ultra Smash was to invite my brother up to play. The Wii U entry is a disappointment in some ways, but the core gameplay for local multiplayer is still an absolute riot. I have exceptionally fond memories of the original Mario Tennis when it was first released on the Nintendo 64. My brother and I used to hire the game out on weekends and would play doubles matches against two of our closest friends for hours on end. The title was also admittedly responsible for developing my love of the sport. Mario Tennis taught us the basic rules of the Tennis, and from there we were hooked. Our father signed us up to Tennis classes and we were trained by a coach named "Mr B" (I think the B stood for Brad). While these tennis classes never really amounted to much, my brother and I have since been avid fans of the professional game. I've had the honour of catching the likes of Roger Federer, Andy Murray and Maria Sharapova in the flesh. I never expected a tennis game where Waluigi made his debut would offer so much. That's why there'll always be a special place in my video game collection for the Mario Tennis series. My first experience with Mario Tennis was when I picked up the original game on the VC from Club Nintendo. To be entirely fair, I didn't really connect with it at first, but that was before I learned that you could "charge" your swings. Once I'd mastered this, I began to see how addicting the gameplay could be. Though the game does seem to be rather barebones when you get down to it, the mechanics of it were so satisfying that I ended up playing through it with every character at least once. Later on, I picked up Mario Tennis Open on the 3DS and that easily became my favourite of the two games in the series. It had everything that made me fall in love with the original and then some. The introduction of certain shots being super-charged when executed at the right time on the right part of the court suitably expanded on the initial concept that was so satisfying. Additionally, all the new game modes were a nice plus, with the Super Mario Bros. Mode being a particular favourite of mine. I've had my eye on Mario Tennis: Ultra Smash and may pick it up yet, but I'm still very much on the fence with that one. Based on what I've read in Tom's preview and other sources around the internet, it seems to be below the typical standard of Nintendo games. Though I'm reserving judgment on it, the game is shaping up to be a rushed Christmas release and the fact that the game appears to have been a step back from Open makes me hesitant to pick it up. Here's to hoping it delivers! The first time I played Mario Tennis on N64, I was shocked that it turned out to be a great tennis game. I play tennis myself, so gameplay was especially important to me, and that game was rock solid. Nintendo didn't just slap some of their iconic skins into a game; they went the full nine yards by including unlockable characters, courts, and difficulties. The original Mario Tennis kept me and my friends gaming for hours on end. Subsequent games lost some of the original magic, sometimes replacing it with gimmicks that no one asked for which took away from the solid foundation of the game. I never enjoyed the trick shots that defied logic, as it replaced the core mechanics with flashy thrills. That being said, I'm incredibly excited for the upcoming release of Ultra Smash. I won't be playing the mega mushroom mode (I'll stick with classic mode, thank you), but it looks gorgeous and runs smoothly at 60fps. I'm most excited about the ability to train an amiibo to play alongside you against online opponents...I've been waiting for an opportunity to pair up alongside my own customized Toad for a long time now. Game, set, match. 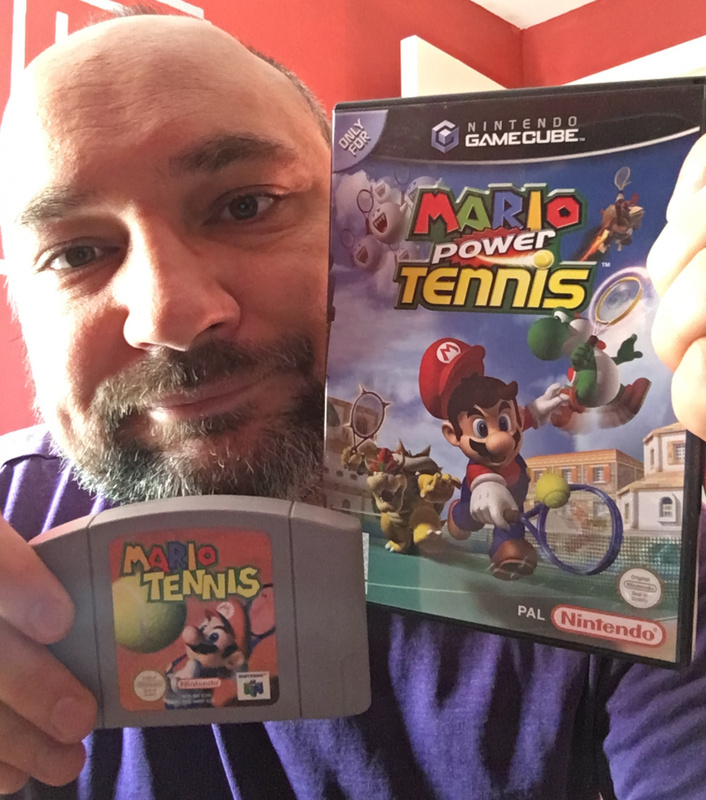 I love both the original Nintendo 64 Mario Tennis and the smoother and prettier Power Tennis for the GameCube. Despite being produced by third-party developer Camelot, both embody the Nintendo philosophy of simplicity and accessibility, but there is a surprising amount of depth as well. The Nintendo 64 and GameCube, with their four controller ports, mean that I can play doubles with my family and friends, and being able to play with just one or two buttons means that everyone from video game neophytes to seasoned gamers are able to pick it up and get something out of it. Stronger players can back up the weaker players and everybody has fun. The graphics are bright and colourful and there is a good roster of characters from which to choose, including the first appearance of the always awesome Waluigi. There are some issues with Power Tennis and its added gimmicks, notably the pace-killing Power Shots, but fortunately these can be turned off for a more traditional approach which makes it play more like a prettier version of the N64 title. The Mario Tennis series is a perfect example of arcade sport honed to perfection and I can't recommend them highly enough. My favourite Mario Tennis game has to be Mario Tennis: Power Tour for the GBA. It was the very first Mario Tennis game I owned, and I enjoy how there is a story that goes along with the great gameplay. The minigames are fun, and it was always fun trying to find all the secrets. To this day I think it is the most immersive and enjoyable Mario Tennis game there is! 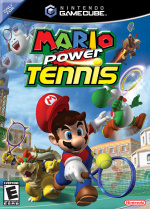 I'm a big fan of the Mario Tennis series, specifically Mario Power Tennis on the GameCube. When I was younger, my brother and I would have intense tournaments to see who could be the best. I'd always play as Luigi and he'd always play as Koopa Troopa. I think the reason we both enjoyed the game so much was the nice balance between the user-friendly simplicity of the controls and the potential for fast paced gameplay if you were able to master the basics. Mario Sports games are a lot of fun to me. If I had to rank them, I'd rank them 1. Mario Strikers, 2. Mario Tennis and 3. Mario Golf. These three are pretty much the only Mario Sports games I enjoy though. Mario & Sonic at the Olympics, Mario Sports Mix and everything else aren't fun to me. However I'm writing you guys because of Mario Tennis so let's get to that! Mario Tennis is a weird series in my opinion. I've played all the games (except the Virtual Boy one and Mario Tennis Ultra Smash) and they range from good to bad. Now with Sports games it's always kind of hard to say what makes it good or bad – after all it's based on a Sport, so it obviously resembles that a lot. 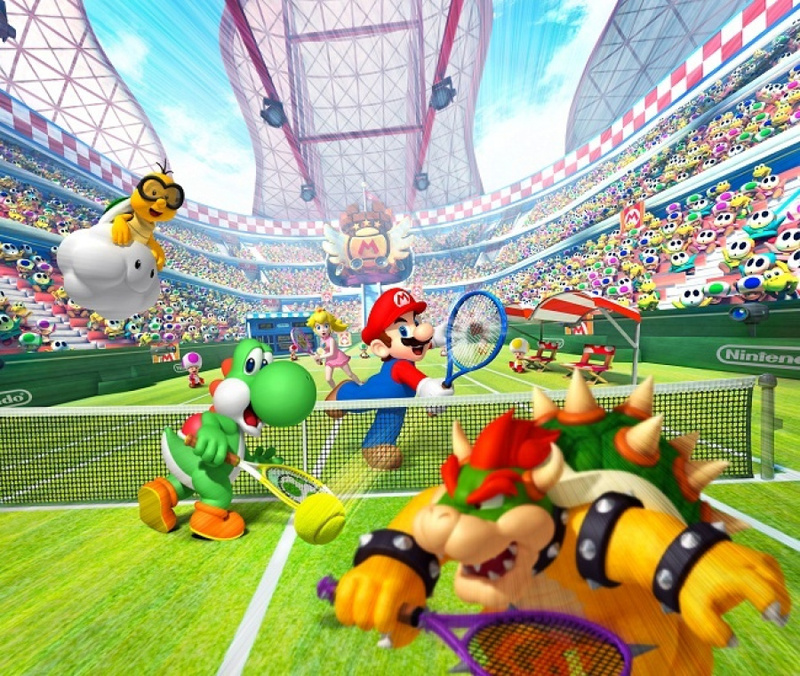 Mario Tennis is exactly that – Tennis, but with Mario characters. But as it is a Nintendo game it goes one step further and adds some new things. Be it Gimmick Courts, Mini Games or Power Shots. Basically a lot of neat little things that give you a bit of variety. It's also very easy to play the game, so that's nice too. Mario Power Tennis is my favourite of the bunch, followed by Mario Tennis 64 and Mario Tennis Open. I HIGHLY dislike the Game Boy Color and Game Boy Advance games. I very much dislike the Story Modes in both games. They're just not fun to me. I also dislike the non-Mario characters in them. They feel very out of place. I will never understand why so many want a Story Mode in the game to be honest. Of course that's just my opinion and if we ever get a Story Mode again I'll just have to live with that. Now the reason why Mario Power Tennis is my favourite is quite simple. It has a good amount of playable characters, great looking courts and is just a blast to play with friends. 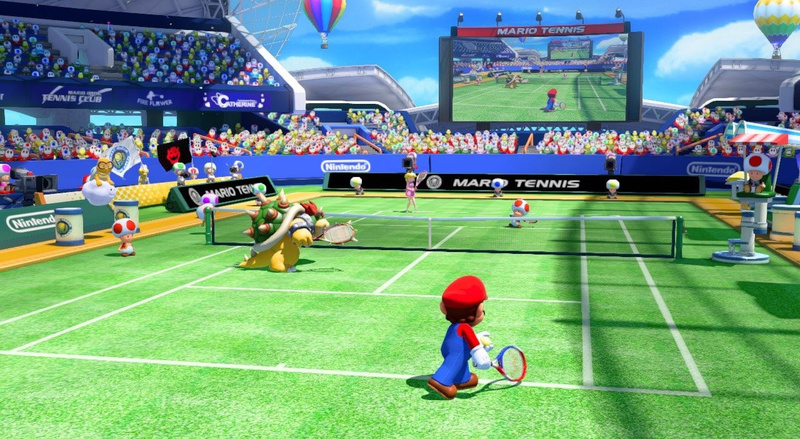 What I care the most about in Mario Tennis is the most simple thing: playing Tennis with a Mario spin on it. And that is what you can do best in this game. I've played countless hours of Mario Power Tennis with my brothers and it was just so much fun. Mario Tennis 64 does the same but it doesn't have the same amount of content as Power Tennis. That's not a bad thing though since it was after all on the Nintendo 64. It was a fantastic game. Mario Tennis Open is great, too. I'm not a big fan of Chance Shots to be honest but I don't mind them. It had great looking courts which I really enjoyed. What I did not like about it was the inclusion of the Miis. They always have annoying voices and they were way too strong. It is overall a good game though. Now I'm really looking forward to Mario Tennis Ultra Smash. It doesn't seem like it'll be perfect but I will definitely have tons of fun with it. There are only two thing's I'm disappointed about in Mario Tennis Ultra Smash. One of those things is the fact that all courts look EXACTLY the same except for the ground. That is incredibly disappointing and also very boring. The other is the amount of characters we'll have. I feel like at this point in time we should have way more than 16 playable characters. I'm very happy about the inclusion of Rosalina though. Another thing that I'm not too thrilled about is the Mega Mushroom Battle. I will probably try it one time and never touch it again. Everything about it seems bad. The Transformation halts the game, it plays the Mega transformation music for a huge amount of time, the players without the Mega Mushroom will feel very left out. There's just so many negative things about it. Thankfully Mega Battle isn't the only way to play the game so it's not too bad. I am definitely looking forward to Mario Tennis Ultra Smash. I really wanted a Mario Strikers, Mario Tennis and Mario Golf on Wii U and while it seems like two of those aren't happening, we'll at least get Mario Tennis. 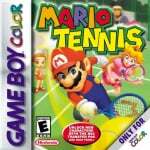 It has to be Mario Tennis for the Game Boy Color. Its solid RPG elements and fun minigames really created a distinct, enjoyable and unexpected work of art from the folks at Camelot. Plus, the N64 connectivity at the time was top class! Our thanks to everyone that sent in submissions, we enjoyed reading all of them! From various reviews I seen this game get an average of 4.5/10. When's your review coming up? @Xaessya "We were disappointed by the lack of content in our preview and are currently testing out online play before publishing our review, but what we can say right now is that we won't be singing from the hilltops about this one." It says when right in the first paragraph. Literacy, pass it on! Sad my entry wasn't used... apparently my goal to be concise with my memories was not the way to go. From the sounds of it I would be better off getting the 3DS version. @Xaessya This weekend, I've been playing plenty of online today, so Saturday evening or Sunday lunchtime (UK timezone) is the target. "but the core gameplay for local multiplayer is still an absolute riot." "I've been waiting for an opportunity to pair up alongside my own customized Toad for a long time now. Game, set, match." Am I correct that you can't play 2v2 w/ 2 amiibo offline? Thing I most wanted to do w/ this game is have all my family members and their partner amiibo square off. 2nd thing I wanted to do was let my kids play their Wii U owning cousin out of state online, but no friends match-making makes me realize that isn't happening, at the moment at least. And I can't even buy it for my family to get up and get some exercise b/c no Wiimotion controls. Which I've accepted, but too much missing, not enough added for a $50 purchase. I still havet spen t$10 on Club Sports Tenis yet. Hey, maybe that will finally get a sale next week for 50% off. Wii Sports Club is going for $60 on 3rd party Amazon. It needs to be $25 online. There is money to be made, Nintneod really doesn't seem to know how to make it. No matter how cheap they sell it for they are still making money code is just sitting there on the server rotting. Melodramatic, much? Same old basically, it plays and looks really nice, but nothing new is really added. @ThomasBW84 It would be awesome if you could divide your review in two sections. One focusing in the multiplayer aspect of the game and the other that focus in the single player campaign. This is because a lot of us do not really care for single player, we just want local coop. A lot of reviews trash the game with the score but when you actually read them they mention "Fantastic gameplay like Mario Tennis 64 and fantastic presentation" One review even mentions that if you treat this entry as an HD remake of Mario Tennis 64 you are going to be happy. People seem to forget only the N64 Mario Tennis is universally praised. The Gamecube (and Wii port) were both very polarizing games with you either loving them or out right hating them. They split the fanbase down the middle along with reviewers. This game is no different, but Camelot has been dropping the ball over the past few years. "Mario Sports Mix and everything else aren't fun to me"
Honestly, the only part about that game that was not fun was the Star power up, which was the Spiny Shell of the game that pretty much Game Overs the opposing team most of the time. Other than that, it's one of the best Mario Sports games I ever played. The only other Mario Sports game I'd be playing right now would be Mario Power Tennis (PLEEEEASE, GCN VC!!) or Mario Golf: World Tour. You can buy the Wii version for dirt cheap, though it is slightly worse. Mario Sports Mix is a decent game but horrible in single player. @Xenocity I'm an American, so I'll have to wait. Kind of cool to read some varied opinions on the series. Personally I liked the 3DS entry, and haven't dabbled much in any of the others. I've certainly heard about the story mode/RPG elements that have existed in the series, and I typically like those things very much in games. Like the Subspace Emissary story in Smash Bros Brawl-- for those who find value in a strong single player experience that builds on the base game in unexpected ways, these are so crucial once you come to expect them from a series. And when they are left out completely, it just feels lazy. Mario Tennis 64 and the GBC one is the only generation of Mario Tennis that has been legendary. The soundtrack and gameplay were superb. They didn't need to add big mushrooms or power shots for this game to be good. They could've just given that game a fresh coat of paint and this game would've been just as good. But instead they added non-memorable music and lame features that bog down the game. @AurumonadoIl I totally agree with that. You've reminded me of Mario Baseball on Cube, what a great game that was. And I was never really into baseball. Definitely a lack of content in this new game, absolutely no single player campaign just a bunch of exhibition modes thrown together with online and amiibo training. I thought the 3DS game had little in the way of single player tournaments...damn. Online is still blighted by people taking full advantage of the purple chance shots which are almost always winners. It speaks volumes when the stats at the end show my opponent with 15 smash winners to my 1 or 2. You can use the A shots to achieve the same winner 90% of the time and they aren't nearly as hard to return. Overall, after just an hour playing it feels like a game rushed out for the holiday season with little time spent on content. It's the 3DS engine with improved visuals. The gameplay itself is as brilliant as it always has been (despite those annoying chance shots) but I was always surprised how quickly this game was announced after Mario Golf: World Tour was only the previous year, and then to learn it was due by Christmas...well it was always going to be a rushed title. They need to provide an update with more modes. But I really think Camelot should stop with the Mario Sports titles for now (I'd always love a Mario Golf on home console but even the 3DS one felt a bit bare for tournaments) and concentrate on other titles, like maybe a new Golden Sun at long last. Cool idea with the Amiibos, do they have something like this in the Wii U version? It would really be cool to play using Amiibos, especially if you could track the Amiibos VS stats, that'd be pretty cool. @IronMan28 "You guys are really milking this Mario Tennis thing..."
I think they are trying to balance out ignoring AC:aF. @MIDP I don't think you can track any stats that I'm aware of. And you can play 2 player vs tennis with your amiibo but only against the computer in challenge mode, not against another person and amiibo paring. Not sure if you can play w/ 3 amiibo, nobody really wants to talk about it, probably b/c nobody is buying it. @Baker1000 After the poor performance of the last Mario Golf and Mario Tennis I think the best move would be to close Camelot. @ThomasBW84 You have broken my spirit. I may not be able to continue on in life. WOE IS ME! @rjejr Lol, you couldn't be more right. They act like that game doesn't exist. To be fair, it doesn't really appeal to me, anyway. Space constraints keep me from being able to have enough people over to make either Mario Tennis or Amiibo festival fun, so it doesn't bother me as much as I joke it does. @IronMan28 To be fair, the entire western hemisphere acts like Wii U doens't exist. 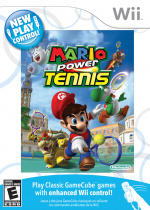 This weeks total ads: Target 1 tiny pic of AC:aF; Best Buy, 1 tiny pic of Mario Tennis. We'll see how things pick up starting Wednesday. I know Wii U makes several appearances for next weekend, but will Ntineod sustain that? XCX deserves a little support. Will Devil's Third show up in an ad or on a shelf anywhere? So many games, so little coverage. Nothing compares to the old school Mario Tennis. It's such a classic game I remember always playing it as a kid. easy to understand why people are outraged at Nintendo for the latest mario tennis you cant mess with the classics!